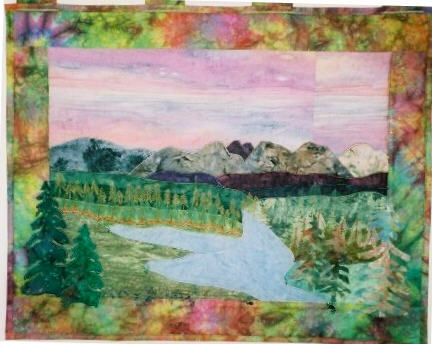 Larger Landscape Wall Quilts using a mix of fabric painting, applique, fusing and topography quilting. 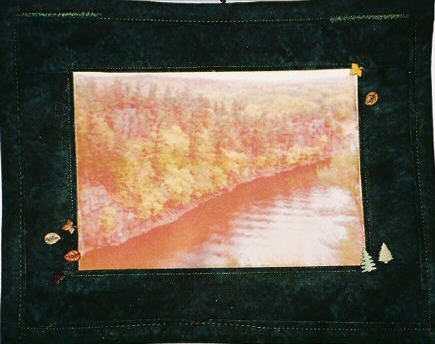 Topography quilting is a technique that follows the colors & hues of the fabric. It meanders through each color with a matching or accent thread. This technique highlights the areas that the artist wants emphasis. The quilting lines can be wavy and close together or overlap. 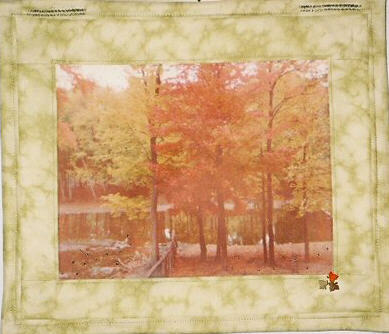 When topography quilting is done on a whole cloth (single piece of fabric) it creates depth.